Identify the influencers that matter to you. Streamline the process of building relationships with influencers. Understand the impact influencers are having for your brand. Insights to help you better understand your space. Find the influencers you care about across the globe on all major platforms. Find the best influencers, from bloggers to celebrities. Looking for “makeup influencers in Europe”? We make searching simple. 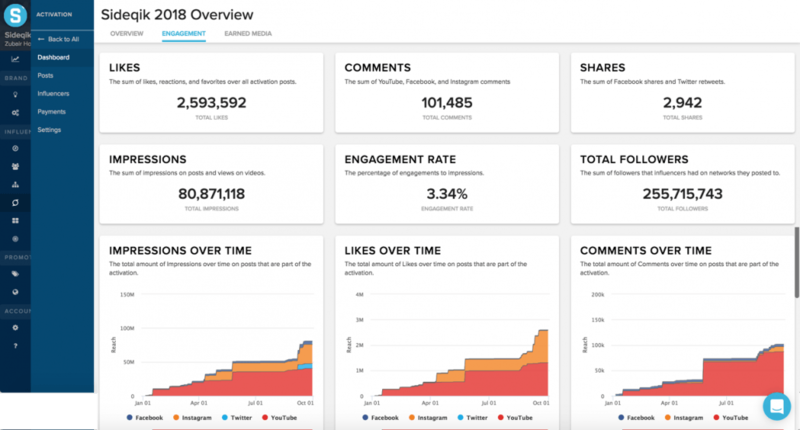 Evaluate every influencer at a glance – are they influential? brandsafe? reaching the right audience? what other brands do they talk about? Ensure your influencers have real influence. Streamline the process of connecting and building relationships with influencers. Increase productivity by organizing everything in a centralized platform. Work across teams, assign responsibility, and easily export data to share. 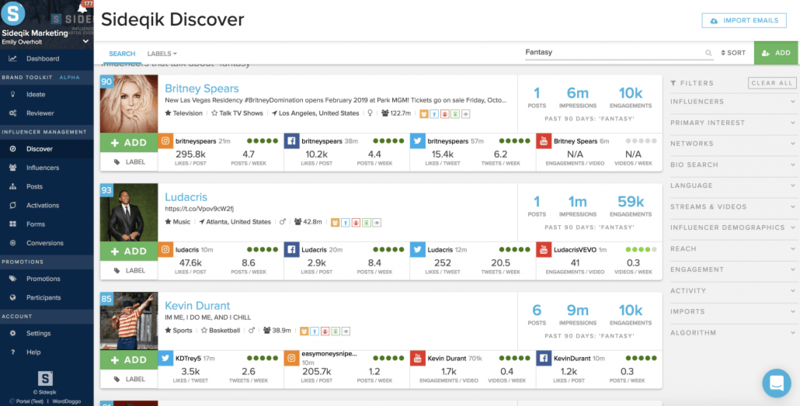 See who and what your influencers are talking about in real-time. 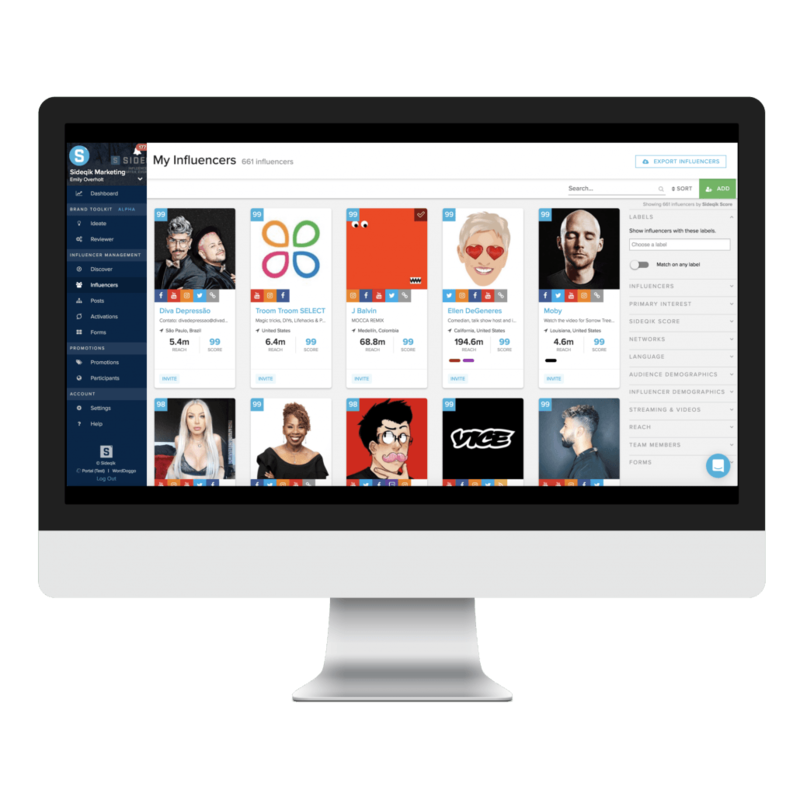 Grade your influencers, track results, and record payments. Understand the impact influencers are having on your brand, competition, and market. Quantify the impact social campaigns have on your brand. Understand the impact across age, gender, location, and more. 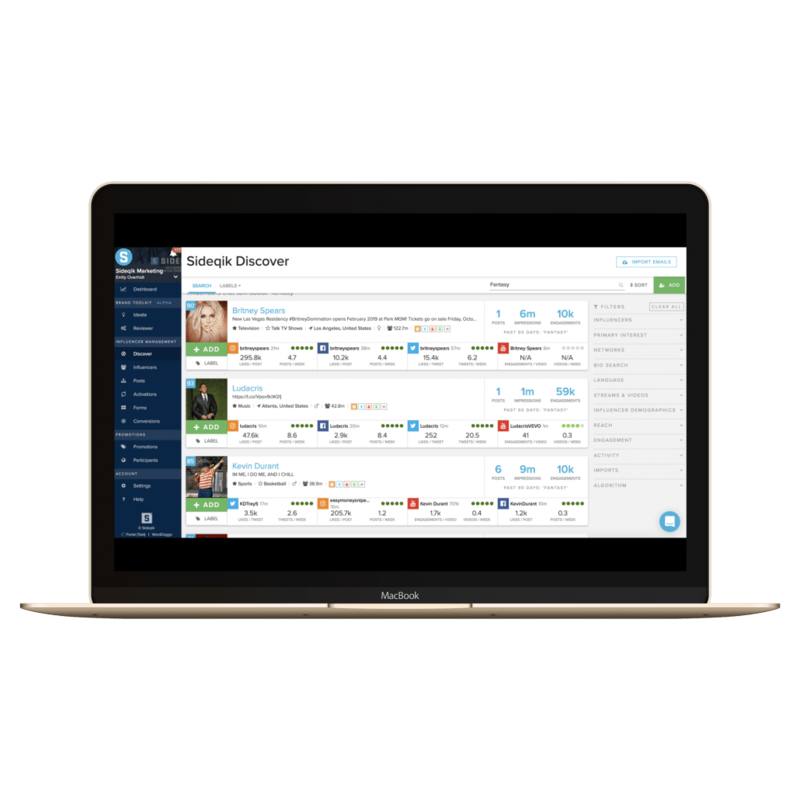 Easily integrate with your existing CRM, analytics, and affiliate systems. Insights to help you better understand your brand, competitors, and industry. Find the most engaging content across platforms, seasons, and events. Be the first to know what’s trending in your space. Build relationships now with the influencers you’ll want to know in the future. They’re talking about it. Are you listening? Ready To Experience The Next Generation Of Influencer Marketing?